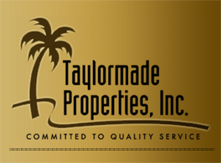 Buyers & Sellers - Taylormade Properties, Inc. When buying a home – you’re bound to have many questions. For example, “In what area can I find a home that suits my needs?”, “How much money will I need to afford the monthly payments?” and “How long will the home buying process take?